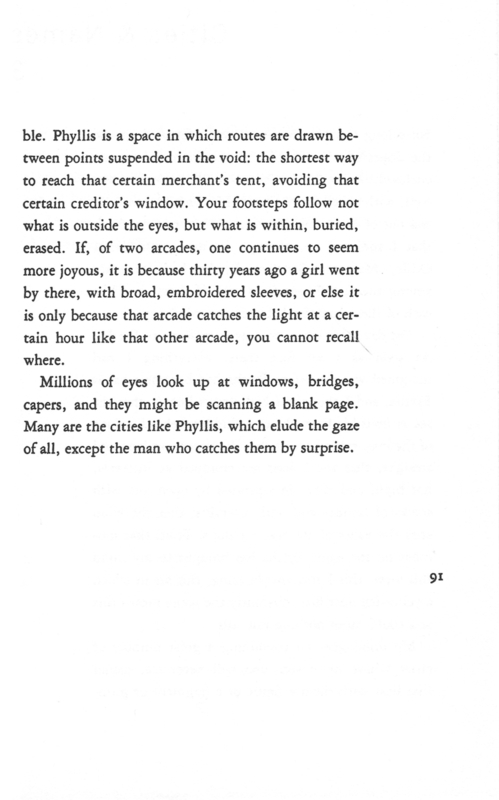 1/2 Excerpt from Italo Calvino's "Invisible Cities"
2/2 Excerpt from Italo Calvino's "Invisible Cities"
I have recently fallen in love with Italo Calvino’s work. “Invisible Cities”, my first foray into his writings, follows a conversation between Marco Polo and Kublai Khan as the Venetian recounts his travels to the Great Khan. He describes dozens of fictitious cities, each with a unique quality that often mirrors the cities we inhabit, the desires and aspirations that move and form the places we happen upon. 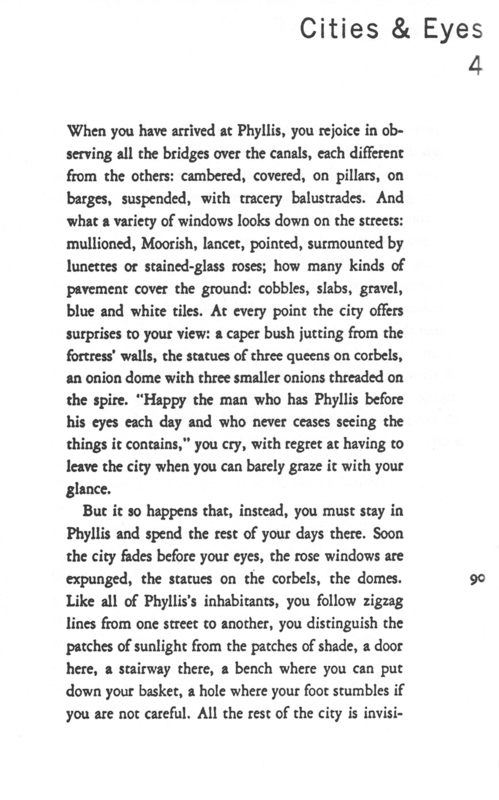 In this excerpt, Marco Polo tells of a city where your arrival is marked by an infatuation with everything we see; every detail of this marvelous city gleams and sparkles. What is foreign is new and exciting. Time eventually passes, and slowly the visitor loses sight of what drew them in at first. They move through the same spaces, except those streets and buildings are now mostly invisible to them. However, if you just so happen to catch the city by surprise, you might be able to see that shining beauty once again.